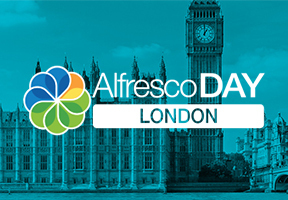 Ness is a sponsor of Alfresco Day London 2017 in London on Dec 7. Here we will meet with Alfresco executives, customers and partners to discuss how digital technology has changed the business landscape and gain knowledge on leveraging technology and innovation to stay competitive and plan for a digital future. The one-day event will reveal more insights on how the Alfresco platform can be leveraged to regain control of critical business content, strengthen compliance, optimize processes and gain a competitive edge.